Risk of sepsis: does DNA matter? A new analysis has identified several genetic variants that could influence one's susceptibility to sepsis, a life-threatening condition. This study provides a novel insight that may affect personalised targeted treatment in the future clinical management of sepsis. Variants are alterations in nucleotide base pairs located within a gene or noncoding portion of the genome. In sepsis, the focus has been on understanding the impact of genetic variants on the innate and adaptive immune signalling pathways. A high percentage of sepsis patients develop multiple organ dysfunction syndrome (MODS); the death rate is significantly higher among these patients. This phenomenon is due to the infection, but the overlapping inflammatory immune events are also responsible. While sequence variants within genes have been considered candidates for the promotion of sepsis pathogenesis, the outcomes of different studies remain contradictory. Moreover, no systematic review investigating all tested variants has been published thus far. The present study applied a systematic review and meta-analysis approach with a predefined protocol to clarify the potential associations between host genetic variants and the risk of sepsis. The review team, composed of researchers from Daping Hospital's Research Institute of Surgery (Chongqing, China), searched the PubMed, EMBASE, Medline, Web of Knowledge, and HuGE databases to identify studies that investigated the associations between genetic variants and sepsis risk. Then, the team conducted meta-analyses of the associations for genetic variants with at least three study populations and applied the Venice criteria to assess the association result credibility. A total of 349 published articles that investigated 405 variants of 172 distinct genes were included in the analysis. The reviewers performed 204 primary and 185 subgroup meta-analyses for 76 variants of 44 genes. 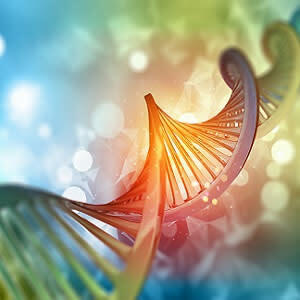 The results showed that 29 variants of 23 genes were significantly associated with the risk of sepsis, including 8 variants of pattern recognition receptors (PRRs), 14 variants of cytokines, one variant of an immune-related gene and 6 variants of other genes. Of note, the cumulative epidemiological evidence of a significant association between each variant and the risk of sepsis was classified as strong or moderate for 18 variants. Furthermore, for the 329 variants with fewer than three study populations, 63 variants of 48 genes have been reported to be significantly associated with the risk of sepsis in a systematic review. Despite modern resuscitating strategies and new anti-infective options, sepsis remains the leading cause of death in critically ill patients. The international expert consensus is that the heterogeneity of patients with sepsis might be in part responsible for the failure of clinical trials of treatments for patients with sepsis. Therefore, reliable markers that can identify high-risk patients are urgently needed to improve detection and preventive care. According to the Chinese review team, their findings provide investigators with a robust platform of genetic variant information that may be useful in the attempts to elucidate the molecular mechanisms underlying the pathogenesis of sepsis. Identifying patients at risk of developing sepsis may improve their outcomes by enabling the use of targeted treatments such as antibiotic prophylaxis, substitution therapy, or plasma transfusions.